Another new month, and another new release to keep the platform running nice and smooth. This month’s update adds plenty of new functionality and revamps several existing functionality for better user experiences. We’ve merged the current History and Collections pages into a single “Collections” page and add tons of new features around filtering and searching for data. Merged collections and history pages into one intuitive user experience. Taking the place of the old History page is a new Bulk Uploads section. Here you can download the bulk upload template, fill with data and schedule processing for your contribution data. New data will be added and shown on the collections page. We’ve made the contributions dashboard much better than before by replacing the existing charts with all new ones that are interactive and provide better insights into how your organization is performing financially. We’ve taken a second look at our online registration forms and improved them significantly. 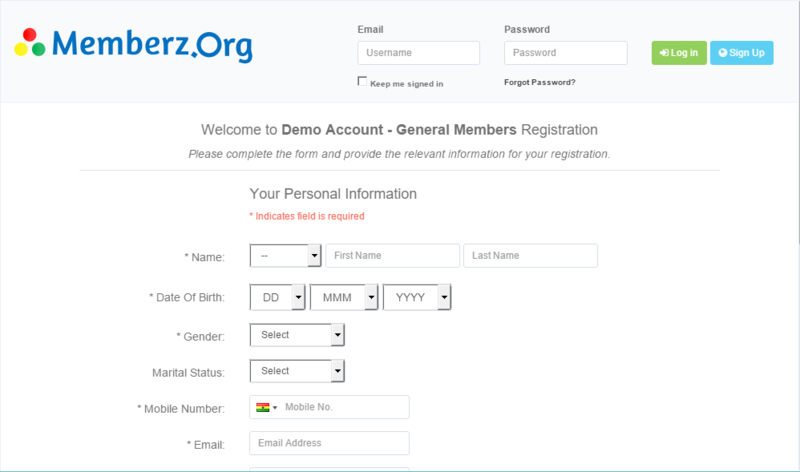 You now get more data from your members at registration time, and they are notified, if they have a Memberz.Org account, when their registration has been reviewed and approved. You can find the links to the registration forms under your Membership Categories section under Account Settings. The groups section under the Members menu has received some UI changes. We now display the members in tables instead of the current button UI. You can also view and edit details about members directly from this interface. Updated group management user interface. Several issues have been addressed around Bulk Member Uploads and the uploads process is guaranteed to complete now with better feedback. Our Bulk SMS Messaging functionality has also been improved to ensure messages are sent correctly with correct notifications on completion. We’ve fixed and improved several other minor things along the way since our September Update and we’ll continue to improve the platform based on your feedback. You can let us know what’s on your mind via the comments section below or our social media channels what your experiences have been with the platform thus far and how best we can improve on the existing functionality to make using the platform better for all.